Enjoying the small things in life helps me appreciate what I have in the present moment and not take so much for granted. I’ve had to do a lot of work on my mindset to help keep my depression under control and a big part of that has been learning to be thankful for the small blessings I have in life. Focusing on all of the small things I have in life to be thankful for has had a huge impact on my mental health and my overall well being. If you’re struggling right now to stay positive I hope these tips will help you. Enjoying the small things in life has really helped me feel better even when life isn’t going my way or I’m struggling to stay motivated. Our culture teaches us to focus on celebrating huge accomplishments and milestones. However, if we wait to achieve something huge to celebrate or feel thankful for what we have it could be years before we slow down and recognize how great our life is right now. I’ve been really trying to intentionally notice how amazing the things surrounding me are and call up feelings of wonder. When I go for walks I look up at the trees and think how amazing the leaves are. Before I go to bed at night I feel my heart beating and marvel at how wonderful it is to live in my body. At any given time we are surrounded by thousands of amazing things and it makes it easy to take them for granted. I’ve really been making an effort to find wonder in the everyday tasks that I have to do. I have a whole podcast episode you can check out about this here. I’ve been making an effort to create more magic throughout my day to day life. That means taking time to recognize how amazing everything around me truly is and not taking things for granted. Challenge yourself right now to find five things that are truly amazing. Things like the air we breathe or the water we drink is so amazing but we often don’t take time to think about how really wonderful it is to have running water. Enjoying the small things means recognizing how amazing things like our own bodies are and taking time to live in a state of wonder. Gratitude has been one of the biggest game changers in my mental health and overall wellbeing. I had untreated clinical depression for over ten years and it meant that I had to train myself to intentionally feel positive feelings in my body. After spending years checked out and numb I had to teach myself how to fully feel positive emotions again. Gratitude was key to this process because it has always been one of the easiest emotions for me to call in. I can’t always make myself feel happy or positive but I can always think about what I have to be thankful for and feel gratitude. I like to challenge myself to write 100 things I’m thankful for as quickly as possible. I like to fill my list with things I usually don’t think about like my eyelashes or socks. This is a great exercise if you want to start feeling thankful for small everyday things that you usually take for granted. If you’re interested in hearing more about how I incorporate gratitude in my life check out this podcast episode. Writing gratitude lists has helped me remember to appreciate the small things that I usually take for granted in life. One of the best ways I know to make life seem better is to do things for other people. If you want to see more kindness and joy in the world make a commitment to spreading happiness and joy. If you need some ideas of random acts of kindness go check out this post for inspiration. Doing something nice for someone else can help you get in a good mood and I find that it’s much easier to appreciate the small things in life when I’m in a good mood. Think about it, if you’re in a crappy mood you’re much less likely to count your blessings or notice how amazing your life is. Doing nice things for other people always improves my mood and that means I am more likely to feel positive about my own life. Make an effort to spread good energy to everyone you meet today. Give lots of encouragement to your friends, compliment strangers and make an effort to make other people feel good when they interact with you. When you give good energy out it flows back to you and it’s much easier to notice all the good things in your life. Whenever I leave my house I make an effort to spread positive energy to other people. Random acts of kindness don’t have to cost you anything and they will help you remember to appreciate the small things in your life. Often we have an easy time complimenting and encouraging other people but we beat ourselves up in our head all day long. How is your internal dialogue? 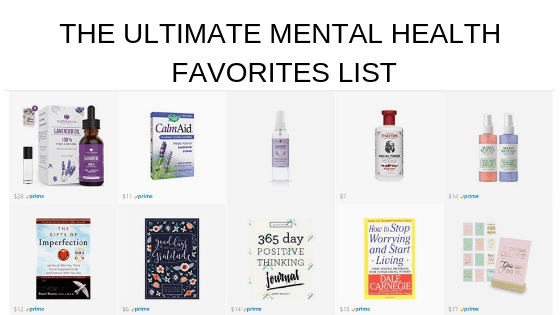 I tend to be really hard on myself and I’ve had to spend a lot of time and energy learning to treat myself with kindness. It’s made a huge difference in my confidence and how I feel about my life. Chances are if you’re walking around beating yourself up all day you’re not going to be in a very good mood and that will make it difficult to appreciate the small things in your life. If you want to start living more intentionally and from a place of gratitude I recommend starting by being kind to yourself. Start taking note of the things that you are good at and what you like about yourself. It’s going to be really difficult to appreciate the small things in your life and have a positive mindset if you have a lot of negative self-talk going on in your head all the time. I am a chronic worrier. At any given moment I am obsessing over something that hasn’t happened yet or dwelling about an interaction that happened in the past. However, I have realized that worrying doesn’t serve me and I’ve been making an effort to live more in the present moment. I’ve been using the Headspace App to learn how to meditate and it’s been really helping me learn how to control my mind and stay in the present moment. If you’ve never tried meditation I really recommend you try the app. I also have a post of all my favorite free guided meditations you can check out here. When I bring my mind back to the present moment I have an easier time appreciating the small things in life and noticing all the great things that are around me. I’ve been trying to practice mindfulness in all areas of my life. When I eat meals I say a little blessing in my mind and feel gratitude for having something to eat. While I clean I bless each object as I put it away and think about how thankful I am to have such a nice home. These are small practices but they have made a huge difference in my life because they help keep me anchored in the present moment and remind me how lucky I really am. If you want to start appreciating the small things I recommend bringing your focus into the present moment and notice all the blessings you already have. If you’re struggling to think of things to appreciate go through all the different areas of your life and think about all the blessings you have in each area. There are probably a ton of small blessings you’ve never even thought about or recognized before. What is going good in your career? What is great about your relationships and friendships? What do you appreciate about where you live? What can you be thankful for about your family? What good things happened to you in the last 24 hours? What do you appreciate about your body and health? What do you appreciate about yourself? Breaking my life down into sections helps me realize how many small things I have to be grateful for. If I’m really struggling to get into a positive mindset I will journal on the questions above to help shift myself into a positive mood. The more positive energy you generate about your life overall the easier it will be to appreciate the small things in life. One of the best ways I’ve found to do this is to train yourself to focus on what is going right in your life. At any given moment there are things in your life that are going good and there are things in your life that are hard or you’re struggling with. While it’s important to process your feelings I’ve found that it’s easy to get stuck thinking about what isn’t going good in your life while overlooking everything that is going great. Over the years I’ve trained my brain to look for the best in situations instead of dwelling on everything that I wish was different. This has been quite a task because honestly, my brain can be negative AF. The truth is someone has it worse than you do. That’s an annoying thing to hear and while I think everyone’s struggles and pain are valid it’s worth remembering that even when things are hard you do have a lot to be thankful for. I’ve had a few rough weeks lately and it would be easy to feel justified in feeling really freaking sorry for myself. The truth is, even though things are tough I have so many blessings in my life and feeling sorry for myself isn’t going to improve my situation. It’s easy for me to fall into a victim mentality where I feel like everything is so unfair but I know that is going to hurt my mindset and my progress in the long run. Remembering how many people would kill for the opportunities and blessings I have in my life helps me remember how truly blessed my life is. Keeping things in perspective helps me stay positive even when things are challenging and I feel like life is working against me. Just remember, there is always someone that has it worse than you do. When I started to realize that tough times are for my good it became a lot easier to get through tough situations. I’m not saying that everything that happens in life is fair because I know that it’s not. Looking back on my life I am really thankful for all the tough times I had to overcome in my life. They taught me who I am and showed me what I wanted in life. I’ve lived through some messed up situations in my life and I’m not glad that they all happened but I am thankful for the lessons they taught me. I also know that I can rely on my own strength and resilience to survive anything that happens to me in this lifetime. Learning how to appreciate the lessons I learned from hard times made me less worried about something bad happening and allowed me to see the blessings from painful lessons I’ve learned in the past. 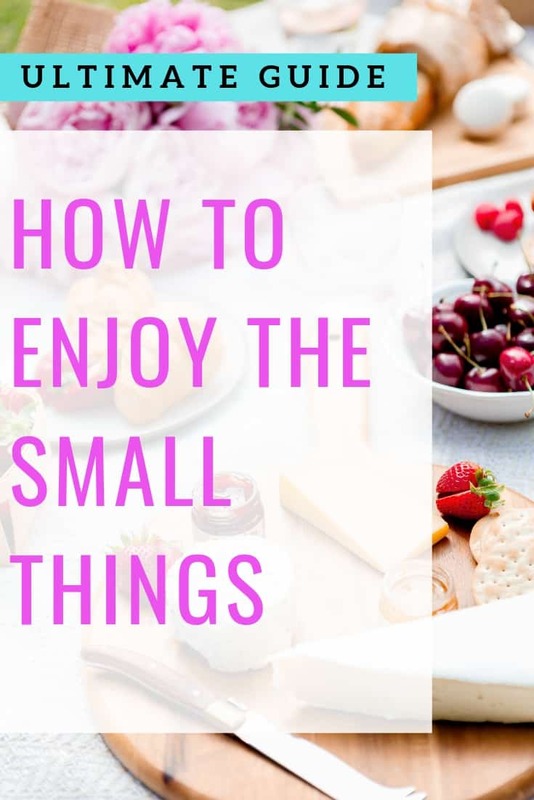 Having this perspective can help you be more positive overall and make enjoying the small things in life easier. I hope this article helps to give you some ideas and you’re able to start enjoying the small things in life. I’ve found that the more positive I am able to be about life overall the easier it is to notice all the blessings I have and not take so much for granted. It’s so easy to go through life and not take the time to think about how lucky we truly are for what we already have. The more time I spend truly counting my blessings the better I feel about life and the happier I am overall. 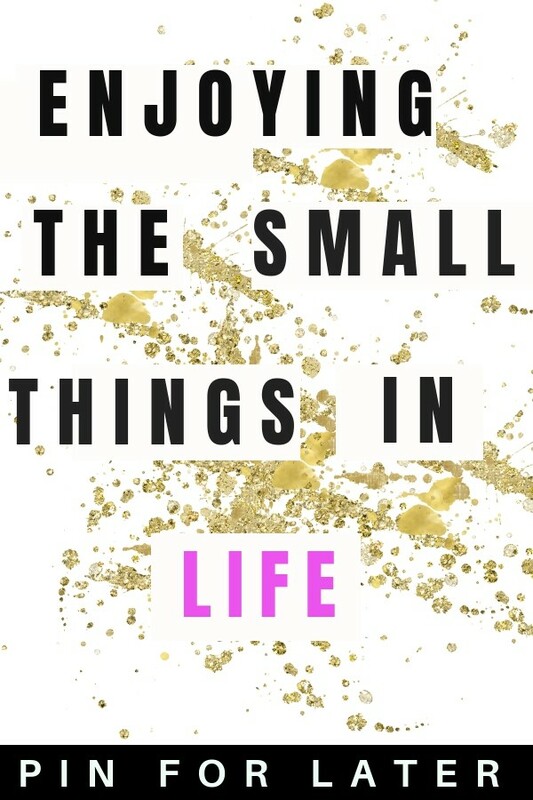 If you want more info about focusing on the small things in life be sure to check out this article.